Window clings have been holiday decoration staples for as long as I can remember. And while not all of the ones you can find in the stores these days may catch your eye, homemade ones sure will! Last week the kids and I grabbed some puffy fabric paint and some glitter and DIY’d some in no time at all. 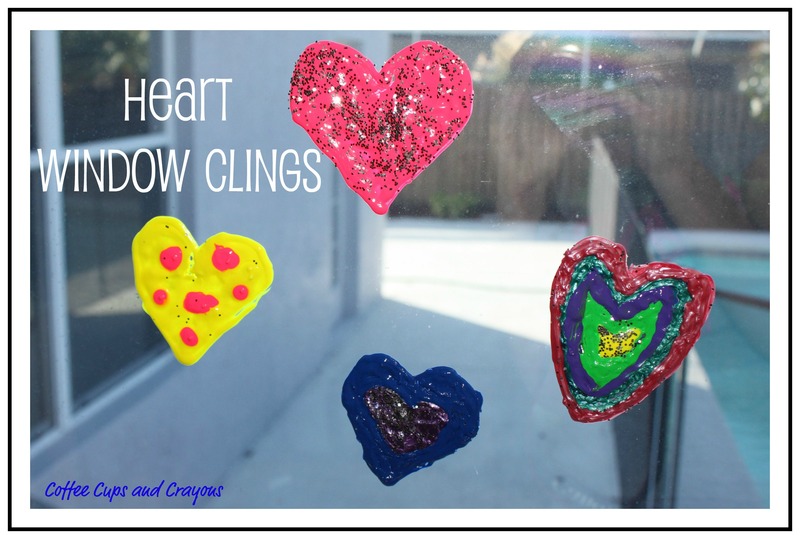 To make the heart window clings you need fabric paint, wax paper or tin foil and any add-in you want such as glitter or sequins. 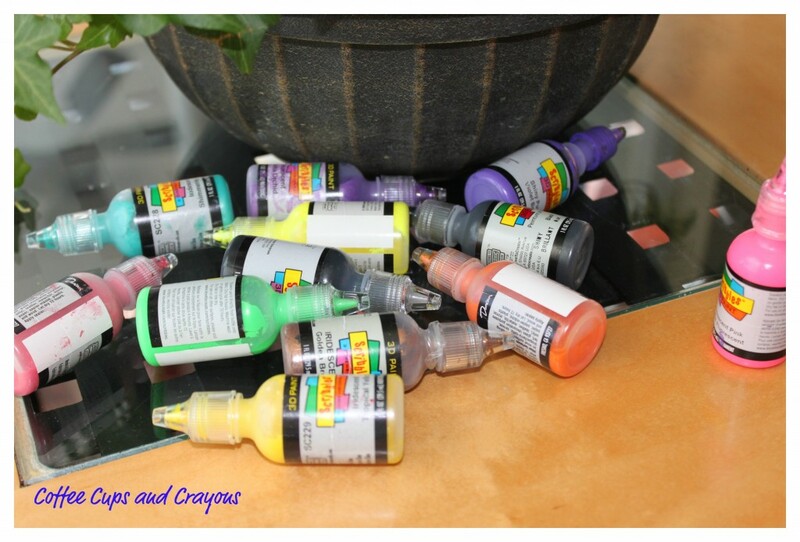 As you work don’t forget to talk to the kids about the colors you are using, which ones can be mixed to form new colors, and any color patterns that may be forming. These little everyday discussions are much more effective way than sitting down with flash cards for a color wheel lesson! Once the paint is on nice and thick it’s time to embellish! Sprinkle on your glitter, sequins, or other lightweight art supply. Leave the paint out overnight to dry and then stick your hearts anywhere you need a little Valentine’s Day cheer…the windows, the bathroom mirror, the microwave, the refrigerator – the possibilities are endless! In fact how fun would it be to make your own name window clings or a phone number window cling? 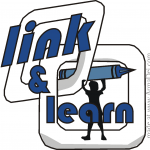 Sounds like a fun and multi-sensory way for kids to learn their personal information. I like it. We’ll try it out and let you know how it worked! Leave me a comment letting me know what you think. I’d love to hear what you come up with! thanks for joining us on this week’s Sunday Showcase – I LOVE this idea! I shared on Facebook & Twitter & will be pinning it too! FABULOUS! You are the best! Thank you so much! Super exciting! So fun! I love your name too…can’t wait to check out your blog! We are big fans of critters around here! Logan and Sarah are going to LOVE making their own heart clings! Yes they will! Just make sure you have enough fabric paint – it’s got to be thick! What a wonderful idea. My almost two year old loves window clings. Not sure he can do this yet, but looking forward to trying when he’s a bit older. Thanks for the idea! My 3 year old did great, but there is definitely a large disaster potential with 2 year olds! Can’t wait to check out your blog. Thanks for stopping by! 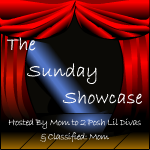 your clings are being featured on this week’s sunday showcase! Going live tomorrow!!! I LOVE IT! M and M always want to buy window clings… but they never work. I bet these would be perfect! They are super fun! And very tactile even after they are dry which keeps my little ones very interested in their creations even after they are stuck on. Thanks for stopping by! These are great! 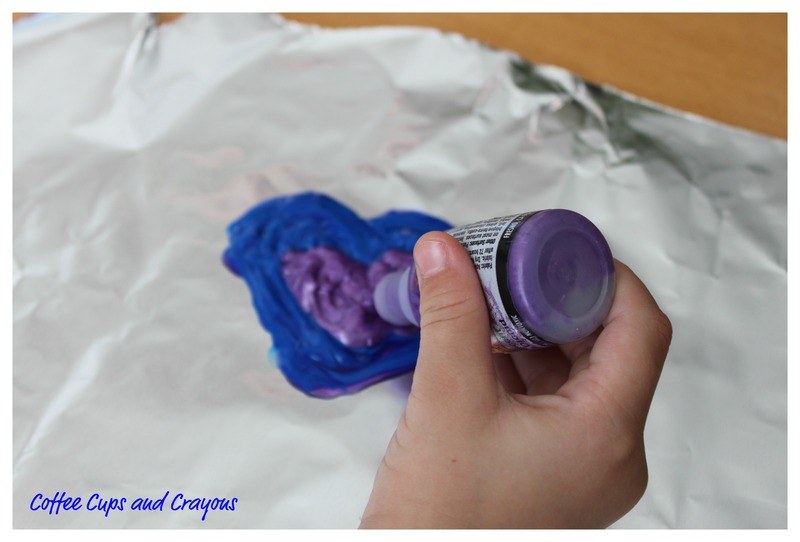 We have some leftover fabric paint from our Heart T-shirts and should try these! Looks like you have great blog in the making! How incredibly cute! I’m doing this with my baby(16 years old and loves decorating for Valentines)! Thanks so much! And I’m so happy to hear your 16 year old still likes to do Valentine’s Day stuf fwith you, my oldest just turned six and I am feeling that she is getting way too big!!! Thanks! It’s fun to make the kids’ names for them to touch and trace also – we tried them a couple weeks ago and they were a hit! Thanks for stopping by! My oldest wants to make a batman and superman symbol to put on his window. I think that it might be a little too hard for him to make that design freehand, but he may be able to trace it, has anyone tried putting clear plastic wrap over a printout so that you could trace a design? Does it change how it dries or anything? I absolutely love the idea! I think wax paper might be better than plastic wrap. 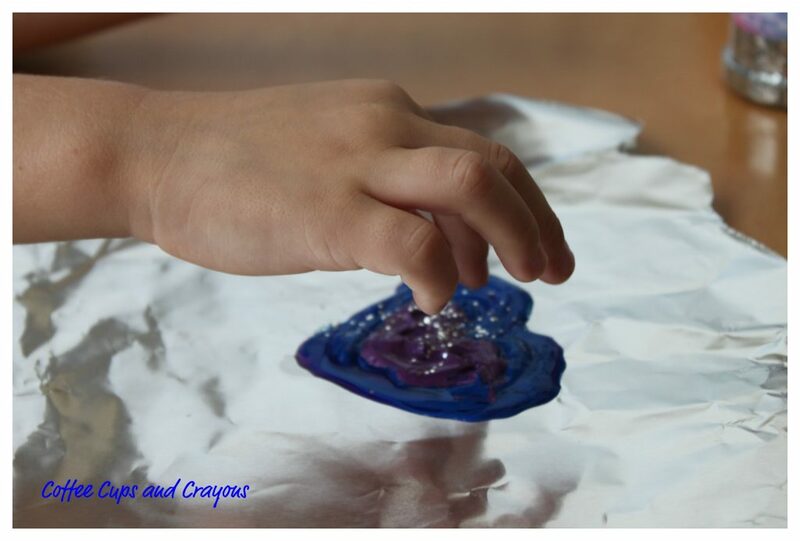 I wonder if you would even be able to print out the design on the wax paper and then fill in the design with paint. Great idea! That is an awesome project. Thanks so much ALi! It is definitely one of our favorites! I just found this site after googling window clings – I made homemade clings with my son many years ago – we chose coloring page type pictures and placed them inside plastic sandwich bags. Then outlined and colored in the picture with the plastic paint, but on the plastic sandwich bag. After drying, the cling peeled off the plastic – (sometimes this was a Mom job- it could take a little finesse and patience). The only caveat – we left them on some windows for years, and then found they would not come off!! I suggest taking them off and re-applying every few months! Jackie that is so cool!!! We will definitely have to try it! Thanks for sharing!